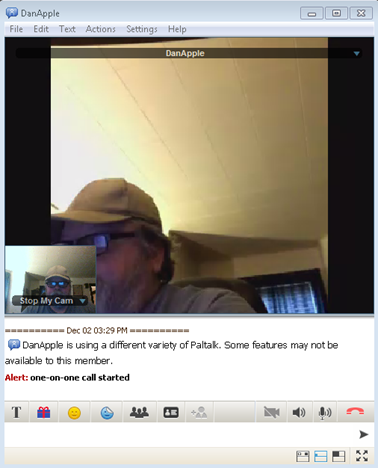 Note: You can toggle voice or video on or off later depending on the type of call you would like. The window will expand and you will have several options. 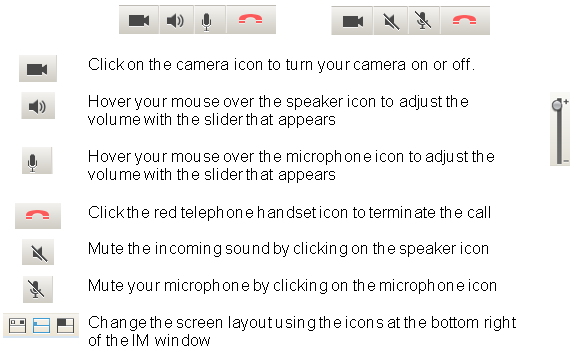 You can turn your video camera on or off, turn your microphone on or off, or hang up to terminate the call. You will be in ‘hands free’ talk mode and a headset is suggested to prevent ‘feedback’, squealing or echoing. You can toggle your mic on and off as you speak by using the ‘mute mic’ icon. Un-mute the mic as you speak, then mute it when you are finished speaking. Your Pal’s video will appear as the larger video in the standard layout, and your ‘self view’ will appear overlaid on the bottom left of the video view area. Use the drop down arrow to the right of your Pal’s nickname to open a menu were you can view their profile, refresh their static profile picture (if their video is not turned on), swap the viewer window with your self view, close the viewer window, send a file, or view statistics about your video session. Click on the drop-down menu in your self-view to stop your video swap your self view area with your pal’s video, select your default camera, go to your camera’s settings, select video overlays, or send a picture. Use the toolbar to change your text size and color, send a gift to your Pal, use emojis, display stickers, or view your Pal’s profile. If you are on the receiving end of a call, click on the accept button to accept the call. 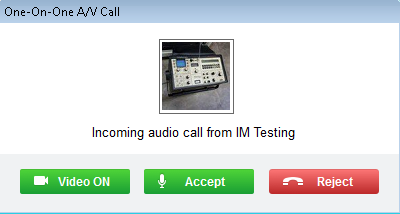 Click on the reject button to ignore and terminate the call. 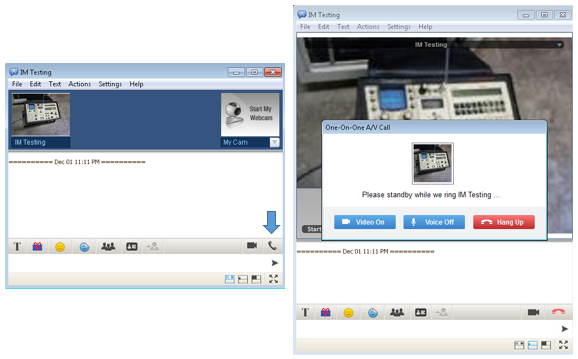 You can also turn your web cam on if you like.